Peabody invited architects to submit proposals for one of three sites in London in order to put together a panel of architects to design its smaller housing schemes. 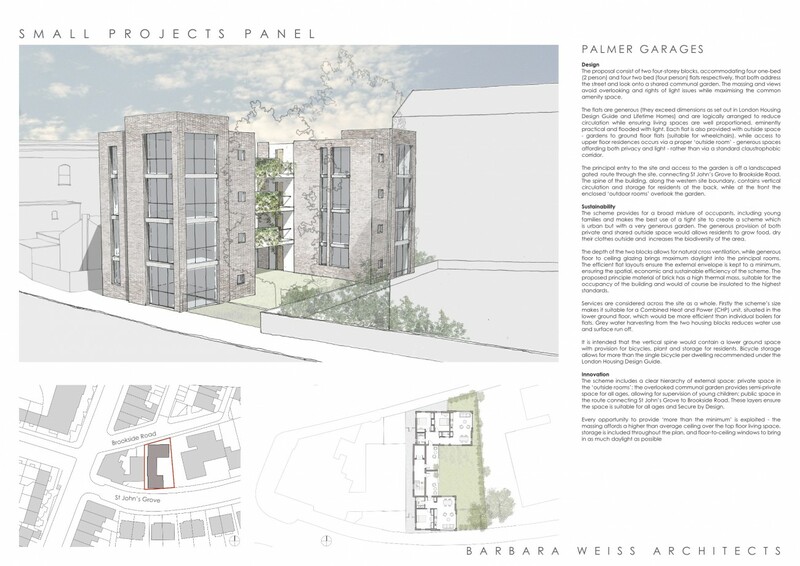 BWA’s entry focused on a site in Archway. The scheme proposed a central courtyard flanked by two four-storey blocks. Along the spine of the building, outdoor rooms overlook the central courtyard. The scheme provides for a broad mixture of occupants, including young families and makes the best use of a tight site to create a scheme which is urban, but with a very generous communal garden, and private outdoor rooms overlooking the public space allowing for supervision of children.